The guided-missile destroyer USS Dewey is scheduled to return to Naval Base San Diego on Monday following a four-month deployment, the Navy announced Wednesday. 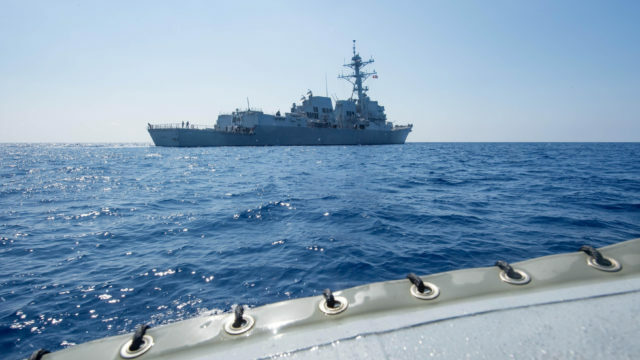 The 510-foot-long vessel departed March 31 along with the destroyer USS Sterett and detachments from Helicopter Maritime Squadrons 49 and 78, which are based at Naval Air Station North Island. 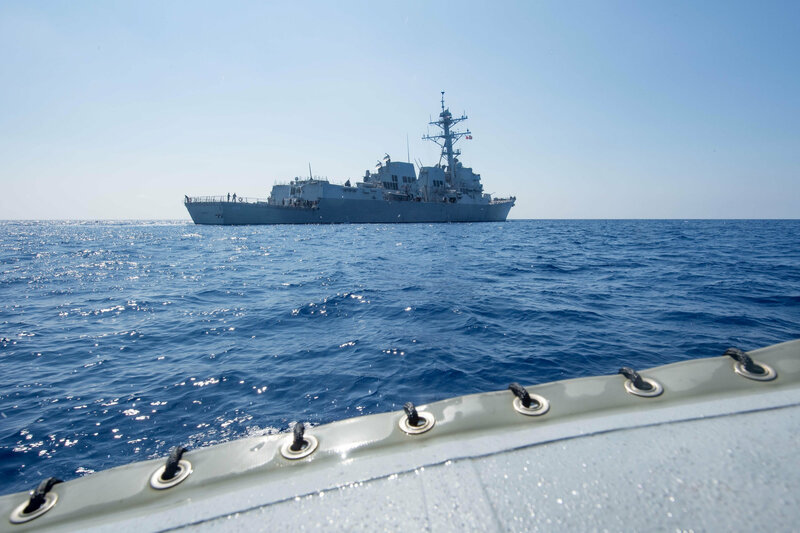 The crew members conducted routine patrols, and performed maritime and theater security missions in the western Pacific Ocean, according to the Navy. They also took part in several exercises with the Japanese military. On July 7, Sterett skipper Cmdr. Claudine Caluori, announced that her vessel’s deployment was being extended for about one month. The ship completed an exercise with the Australian Navy last weekend. The vessels are named after George Dewey, who fought in the Spanish- American War and was the only officer to hold the rank of Admiral of the Navy, and Andrew Sterett, who commanded the USS Enterprise in a battle off the Barbary Coast in 1801.